Our technicians are certified and factory trained professionals. 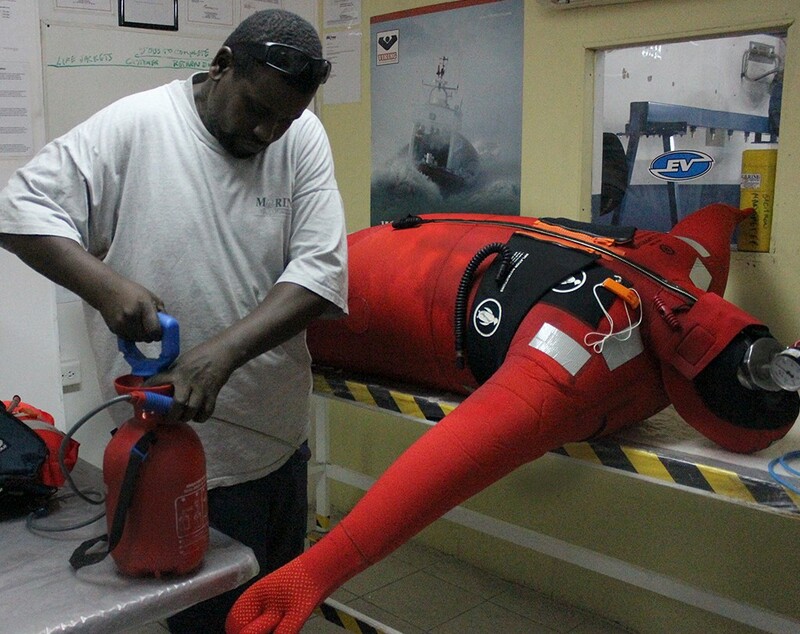 The service and repair of immersion suits are carried out in accordance to Solas Reg. 111/32.3 and MSC/Circ.1114 guidelines and the vessel flag state requirements.